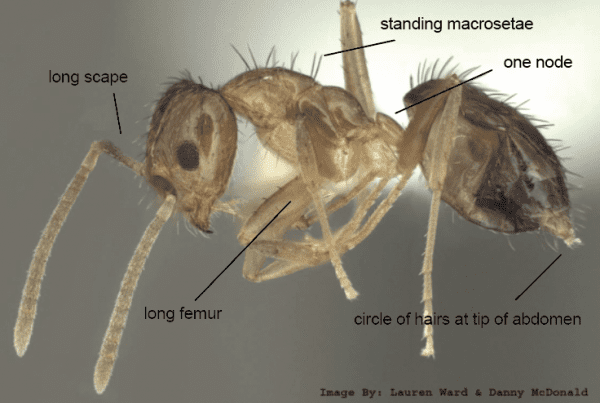 Tawny crazy ants (Nylanderia fulva), previously known as Caribbean or raspberry crazy ants, are fast becoming an economic, ecological, and nuisance pest in the southeastern United States. They have been a serious problem in parts of Florida and Texas for more than 10 years and have begun spreading to other states. This pest doesn’t bite or sting, but it is one of the worst nuisance ants. In infested areas, extremely large populations of tawny crazy ants have caused great annoyance to residents and businesses. Overwhelming populations of these ants prevent residents from enjoying time in their yards. These ants foul relays, switches, and breakers in electrical equipment causing shutdowns and power outages in industrial complexes and businesses. 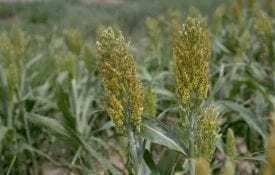 When populations reach a critical mass, they are extremely difficult to control and management options are usually expensive. Reducing the spread of tawny crazy ants in the Southeast is of high importance. In the 1950s, transportation of infested nursery stock extended the geographic range of fire ants throughout the Southeast. This same transportation of infested nursery stock still causes new localized fire ant infestations outside of the fire ant quarantine areas. 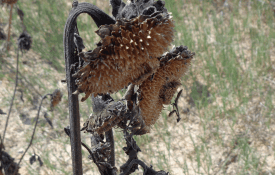 The current chemical treatment that allows growers to ship outside of the Fire Ant Quarantine Zone is not effective in preventing tawny crazy ants from infesting plant materials. Growers need to understand how to prevent infestations through monitoring, and if needed, treatment. Trails of the tawny crazy ant are fast moving, erratic, wide, and have vast numbers of ants. They do not form mounds in the landscape but can tunnel in loose soil. They can be under anything in the landscape that holds moisture. Ants are uniform, reddish-brown, and 1/8-inch long. Worker ants have long legs and antennae. Under a microscope, you will see a 12-segmented antenna, a petiole with one node, an acidopore, and many hairs covering the ant. Species-level morphological identification requires winged males. Your Extension office can assist you with identification. In areas where tawny crazy ants are well established, workers can number in the millions. Colonies have multiple queens that share reproduction responsibilities, allowing colonies to reach extremely large populations and occupy wide swaths of land. They prefer foraging and nesting in shaded areas. Foraging trails are quite apparent (≥4 in. wide) and individuals forage erratically. Foraging trails will often be found going up and down trees, fences, following seams in concrete surfaces, following structural barriers, and in large open shady grassy areas. Colonies nest in, on, and under anything that can provide moisture and protection from rainfall. They have been found in mulch and leaf litter, landscape objects, signs, and structures and under pots, natural debris, and loose tree bark. Nests occur primarily outdoors, but worker ants will forage indoors. Being omnivorous, tawny crazy ants eat almost any organic material. Worker ants commonly tend sucking, hemipterous insects such as aphids, scale insects, whiteflies, mealybugs, and others that excrete a sugary (carbohydrate) liquid called honeydew when stimulated by the ants. 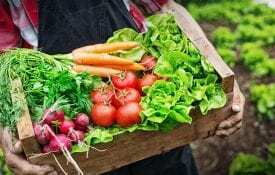 The sweet parts of plants, including nectaries or damaged and overripe fruit, attract workers. Worker ants also consume other insects and small vertebrates for protein. Mating flights have never been observed for tawny crazy ants; the population often spreads through a process called budding. Budding occurs when queens from a colony move or are relocated to an area outside the parent colony. A parent colony can expand its range by several hundred feet a year. Humans facilitate this movement to new areas via cars, trash, mulch, potted plants, and more. The nursery industry has the potential to be a major source of tawny crazy introduction into new areas. Inspect material such as mulch, straw, turf, and potted plants moved from one location to another to ensure it is ant free. Before receiving any material, inspect it to ensure that all items are ant free. If you are in an infested area, monitor your nursery for ants. Educate your staff on what to look for and where to look. Occasionally drop baits such as slivers of hot dogs or oily potato chips around the perimeter of your facility to monitor for ants. There are thousands of ant species and identification is difficult. If you or your staff encounter what you believe to be tawny crazy ants, contact your county Extension office and ask for positive identification. Use integrated pest management principles to obtain population reduction; habitat modification will allow any chemical treatments needed to perform better. Effective ant management requires an integrated pest management approach that involves landscape modification, elimination of food sources, landscape treatment, and if necessary, barrier treatment for structures. In the event of a positive tawny crazy ant infestation, take a multifaceted approach to treatment. Chemical treatment alone often will result in failure. Large populations are of tawny crazy ants are difficult to control, and in many cases, suppression is the only option. Control becomes more realistic with new smaller populations, which makes it imperative to regularly monitor for new infestations. If ants are discovered in containerized plant material, apply contact drenches with chemicals such as bifenthrin to infested containers. A multitactic approach will provide the greatest level of control when trying to manage an established infestation. Follow any ant trails to the nesting sites and use additional drench treatments there. Utilize barrier spray applications within the restrictions of pesticide labels to vertical surfaces such as tree trunks, sheds, and shade houses. Unfortunately, traditional pyrethroid insecticides work fast but last only a week or two, so you must use multiple applications. Apply slower acting nonrepellent insecticide sprays to areas where ants are active. Along with chemical applications, cultural practices include the removal of harborages such as leaf and pruning litter, pot piles, and ground cloth. When feasible, remove pruning and leaf litter from around containers. Crazy ants prefer humid conditions. Repair leaking irrigation equipment and improve drainage when possible. As previously mentioned, tawny crazy ants can farm honeydew-producing hemipterans, such as aphids. Managing these pests will reduce the availability of this food source and may help reduce tawny crazy ant populations. Baits work at times but are significantly less effective when compared to the control of fire ants. Effective baits may be cost prohibitive due to the large quantity required. Baits are usually protein, lipid, or sugar based. Tawny crazy ants tend to switch bait preferences, so a sweet bait that works one day might not work another. The best time to use baits is early spring when populations are low. Before applying bait to large areas, it is important to make sure that the ants are feeding on the bait. Place a small amount of bait where ants are present and observing if the ants will feed on it. Several studies have used treatments in nursery pots according to the Federal Imported Fire Ant Quarantine. None have been effective against tawny crazy ants. Further evaluation of other insecticides that could be incorporated into nursery media to repel or kill tawny crazy ants is needed. The best management technique is to prevent tawny crazy ants from entering your facility. An infestation will require a comprehensive IPM plan. 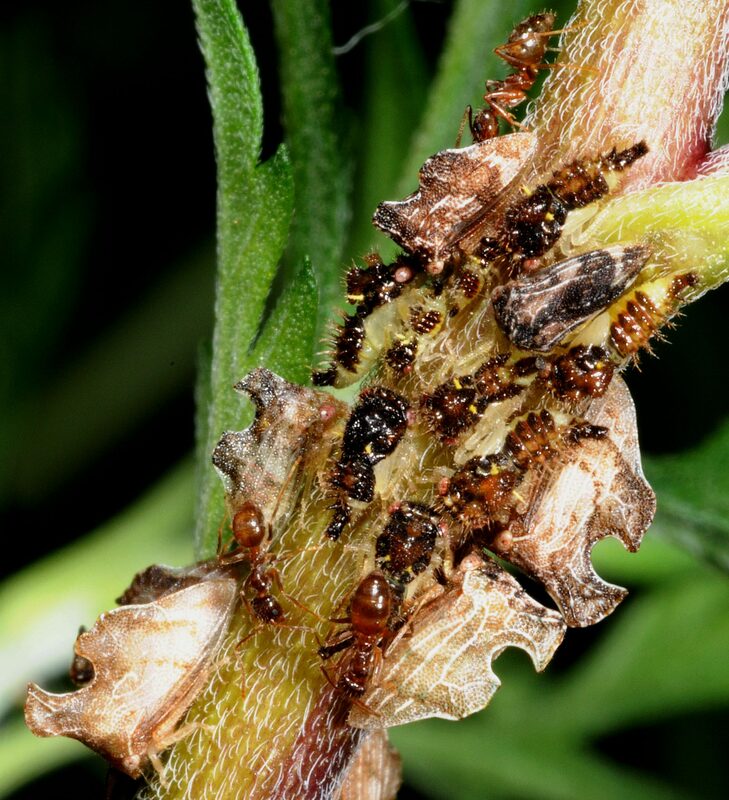 Download a pdf of Managing Tawny Crazy Ants in Plant Nurseries, ANR-2460. Featured image courtesy of Joe MacGown, Mississippi State University, Bugwood.org. Funding provided by USDA NIFA, under No. 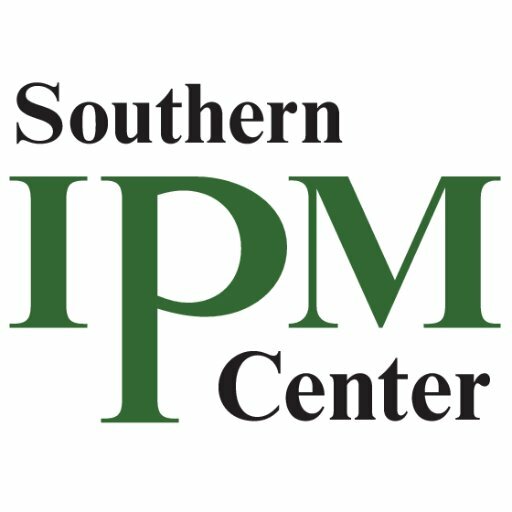 2014-70006-22485 via Southern IPM Center Working Group Program (Project 9998569).